STEVEN D. DAVIS was born in Hartford, Connecticut on March 14, 1950. He attended the University of the South at Sewanee, Tennessee from 1968 to 1970 and graduated from UCLA with a B.A. in Economics in 1974. He went on to obtain a J.D. degree from Southwestern University School of Law in 1979. He began his legal career at the District Attorney's Office in Bakersfield, California where he practiced as a Deputy District Attorney until 1983 when he joined the law firm of Fonda & Garrard. 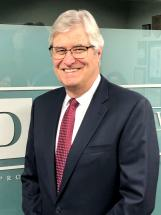 In 1985, he became a partner at Fonda Garrard Hilberman & Davis where he remained until 1997, when he co-founded Garrard & Davis, LLP, with his partner, Donald Garrard. In 2014, Mr. Davis founded the Steven D. Davis Law Group, APC, after an amicable separation Mr. Garrard, who remains Of Counsel to the Steven D. Davis Law Group, APC. Mr. Davis is AV Rated by Martindale Hubbell and a member of the American Board of Trial Advocates (ABOTA) at the Advocate level. He is admitted to practice law in the State of California, the United States District Court, and the United States Supreme Court. He is a member of various legal associations including the State Bar of California, the American Bar Association, and the Los Angeles County Bar Association. In his free time, he enjoys time with his family, golf, skiing, deep sea fishing, and volunteering in the community.